You can apply your promo code while signing up for a membership. Simply to go our membership sign up page and click the Start Free Trial button below the membership level you want. 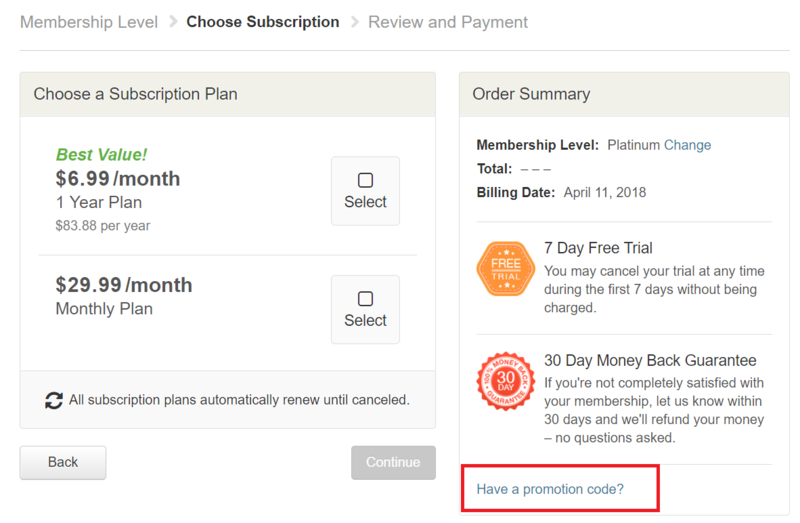 On the next page, there will be a Have a promotion code? link on the right side of the page that you will need to click on. 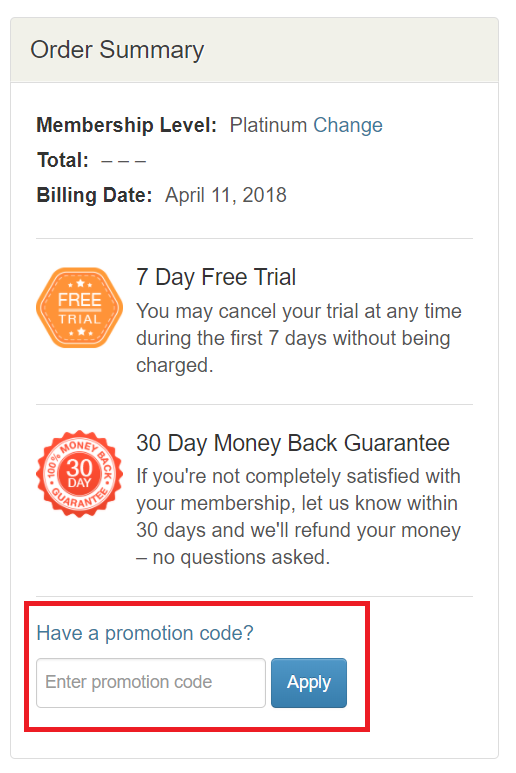 A text box will appear where you can enter in your promotion code. Make sure to click on the blue Apply button after you have entered in your promo code. Note: Applying promo codes is not available within the Punchbowl mobile app.